SUMMER MUST HAVES | RAWR BOWS. Surviving this heatwave should be an accomplishment worthy of being on your CV. If you live in south Europe you probably know what I am talking about - highs of almost 40˚C and lows of over 20˚C. Stepping outside my house with air con requires a lot of willpower and normally ends up with me covered in sweat (gross) and wishing I lived in Alaska. Unfortunately, staying in every day for over a week is not likely to happen so here are some of my must haves to survive this crazy temperatures. 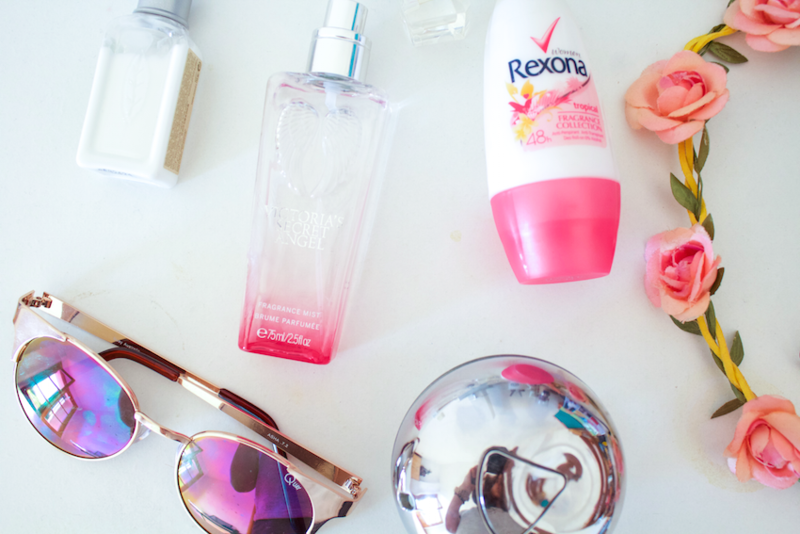 My first must have is something I never leave my house without: sunnies. I don't have very light blue eyes but still, my eyes are quite sensible to the sun and they easily water when I forget my sunglasses at home. I recently bought Quay's Asha sunglasses in gold and they are my absolute favourite. Something else I love to use during the summer time is perfumes or body mists. If you are interested in knowing my favourites click here to read all about them! As gross as it sounds, summer + heatwave + me going outside = loads of sweating. So a nice and fresh perfume is always welcome (together with deodorant). The sun can also be quite harsh on my skin and hair and when you add in the salty water things just get out of hand. This is why I cannot survive without a good moisturiser. After spending hours and hours under the sun trying to get a tan, my skin gets extremely dry and disgusting and there is nothing better than covering my whole body in rich moisturiser. 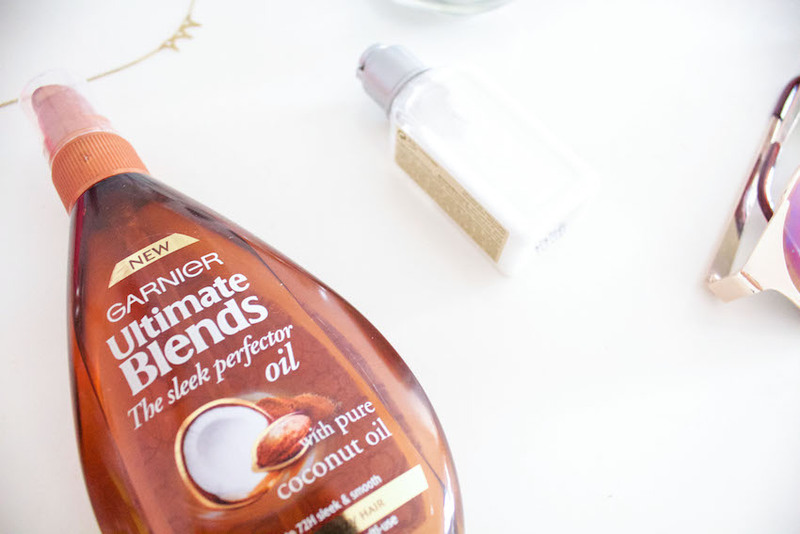 I also like using oil when my hair feels particularly dry, it gives it a really nice shine and make is look and feel so much healthier! What are your must haves for summer?